Whether you store credit card numbers within your own website or within a secure processing company such as Authorize.net or PayPal you must be aware of the proper storage and handling of all credit card transaction data. Portline will assist you in determining what method is best for your business. See PCI Compliance section to find out if your existing website adheres to the required policies and procedures. Portline eCommerce web sites and packages connect to a Merchant Gateway to complete the actual processing of the credit card transaction. 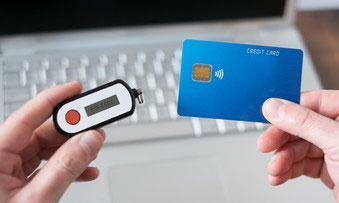 The Gateway company transfers the funds to your Merchant Account. If you process credit card payments manually you will need to ensure that any stored credit card information accepted through your website is stored properly. A PCI Compliance certificate is required. Portline can assist you with obtaining the PCI Compliance certificate required for all companies processing credit card transactions. Portline is a Visa compliant corporation and will assist you in the proper procedures for credit card processing and handling.